In this day in age, information for any topic is one click away. With the proliferation of the internet, web surfers can find out what they need about any topic within milliseconds. not only do their results come in quickly, but they come in the millions. If you run a website, how can you be sure your website will be seen among the millions? 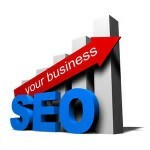 One way to efficiently get your site located is proper search engine optimization, also known as SEO. Good SEO allows the many websites online, cut through the clutter and become relevant and found quickly by internet searchers. There isn’t a specific science to great SEO, but there are rules that any website owner can follow to enhance their site and be found by web surfers. One of the most effective ways to help your site get found would be to implement effective keywords. A great example of his would be if you were to have a site dedicated to automobiles. You would want to do research through a variety of ways to discover what keywords people are using to look up information on automobiles. After collecting this information, you would develop unique copy on your site to help enhance the search engine’s ability to find your site. The more keywords people are using, the more you will want to implement them into your site. Good, unique copy will always bet ill-advised, uninformative copy. Keep it fresh and relevant, and you are bound to climb the search engine ladder. Another great technique that enhances traffic to your site would be to increase the amount of backlinking. Backlinking is done by using links to take web surfers to your site through a variety of ways instead of via a search engine. Using the automobile website for example, let’s say you have a blog on your site. You would want to visit automobile forums, or other websites that discuss the topic of automobiles and link your site in the comment section. One great way to really push your website is if you work directly with another website to share each other’s links. 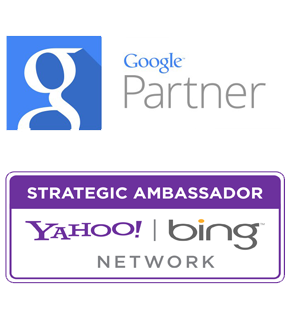 This will be a win-win situation as you both will take advantage of backlinking. While not the best way to enhance your website, another way to increase effective SEO is by developing a paid campaign. This is where you would develop an ad based on a specific set of keywords and it would take precedence on search engines. Whenever someone would type in a specific keyword, they would see the paid searches as a first selection. While a great way to get recognized, it can be extremely expensive and may not truly boost the traffic to the numbers you would want. As mentioned earlier, good SEO is not an exact science, but with a little know-how and the ability to adapt to the ever changing climate of the internet, you can be sure your website will increase its traffic over time.